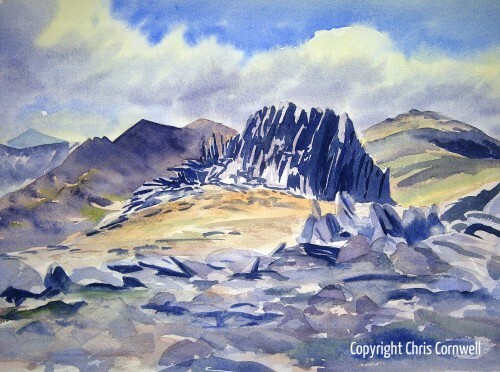 An impressive outcrop of rock on the Glyder Range, Snowdonia. 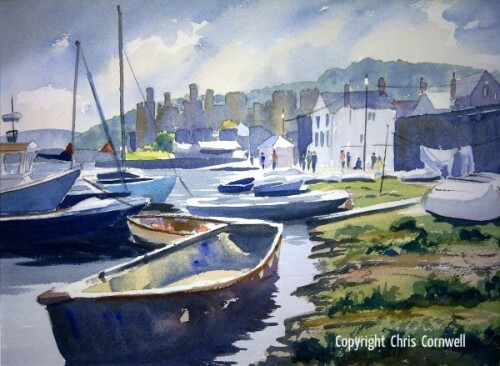 Conwy has such atmosphere and the quay and foreshore provide a great place to paint. 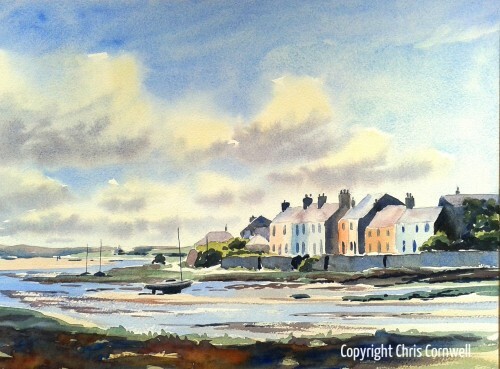 This location, painted at high tide, is just in front of the 'smallest house'. As well as the boats, I could not resist including the washing line. 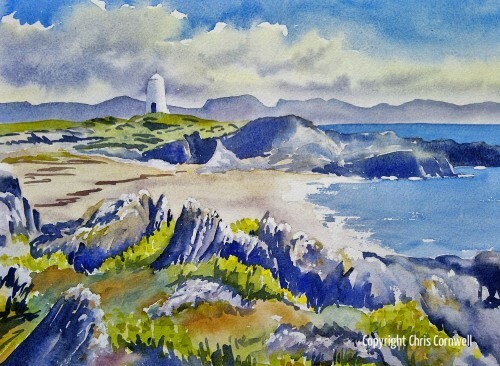 A peninsula, with beautiful beaches rocky outcrops and wild flowers, cut off from Anglesey at high water. The Snowdonia mountains of North Wales provide an impressive backdrop. Painters paradise. A village on the west coast of Anglesey. 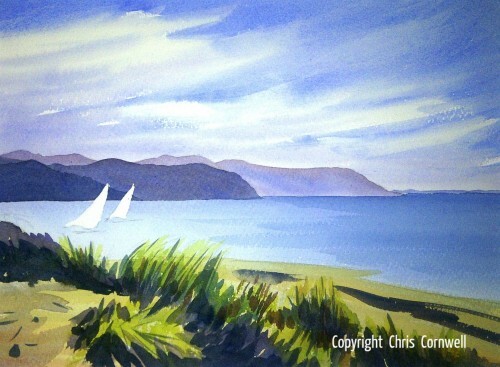 Painted from West Shore Llandudno looking southeast towards Conwy Mountain and Penmaenmawr Head. 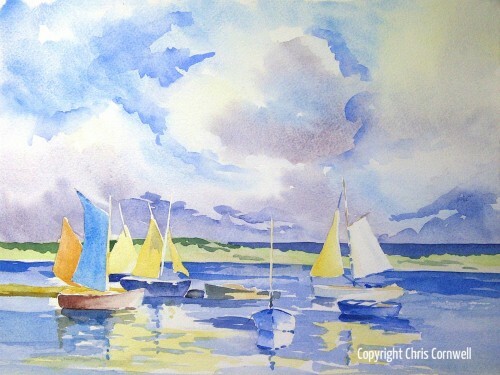 Non members are welcome to check Exhibition and Events section to see when talks and demonstrations are scheduled - anyone is welcome to attend Member Events for a small fee.